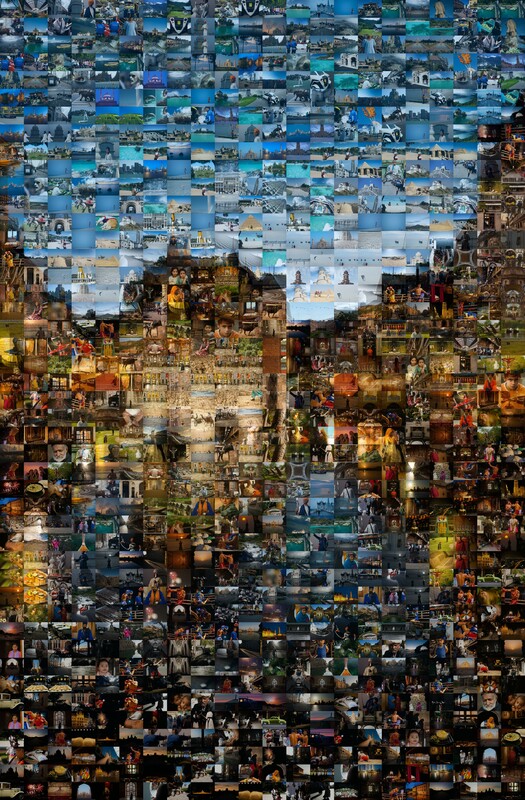 A multi-image mosaic recreating an image of the Palais de L'isle in Annecy, France. Happy new year's eve to everyone! For my year-ending image, I decided to do something slightly different. 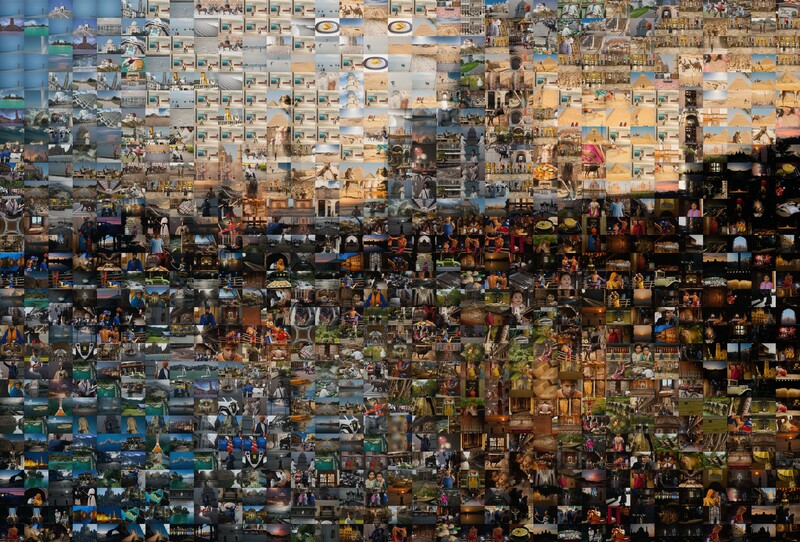 I've chosen some of my favorite images of 2010 and used them as a template to create a mosaic image. The mosaic above is composed of tiny thumbnails from a pool of all the images I published in 2010. I will assume not all the images I published this year were used in the creation of this image, however, all the image thumbnails used were published at some point in 2010. See the original image of the Palais de L'isle published on August 8, 2010 and compare it with the mosaic. A much larger version showing individual tile details can be seen here. To create your own mosaic, check out Foto-Mosaik-Edda. 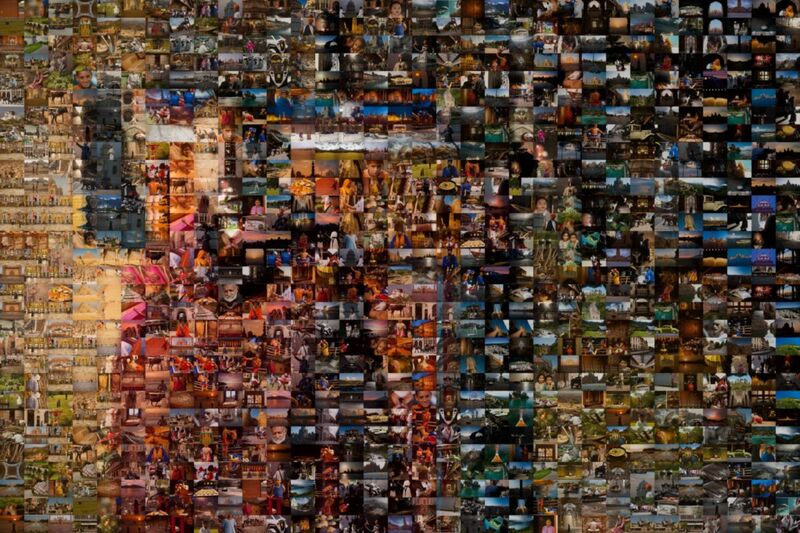 The greater number of images you start with, the better the mosaic will render. A mosaic made of image thumbnails of a Buddhist monk in Dhankar, India. A mosaic of the Taj Mahal and the river Jamuna composed of smaller images that were published on Daily Travel Photos earlier this year. The mosaics weren't perfect mostly because I was working with only a pool of images numbering just over 700. I tested some simpler images with a larger pool of images and the software did an amazing job of recreating the template image. On that note, I wish everyone a healthy, happy, and travel-filled 2011!